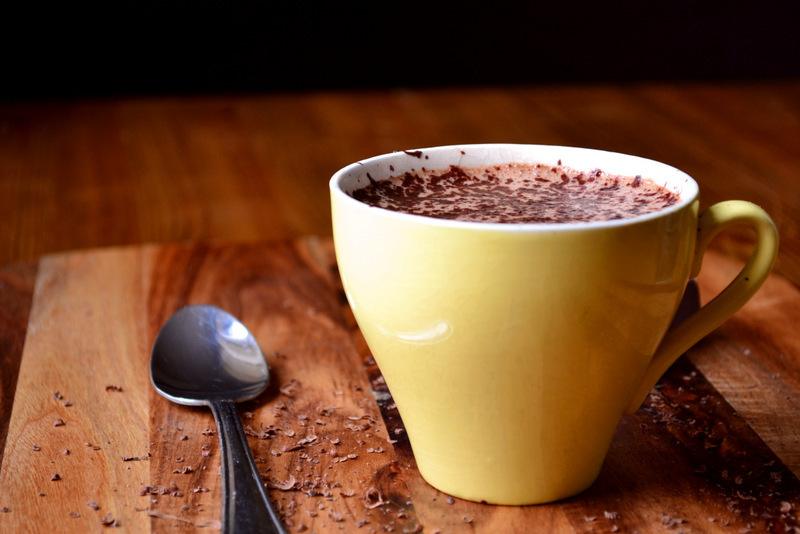 Cocoa solid was first used as far back as c.1100 BC. However, it is believed to have come into widespread use around a millennium later at which time it came to form an important part of Mayan spiritual events – both as an offering and as a drink. 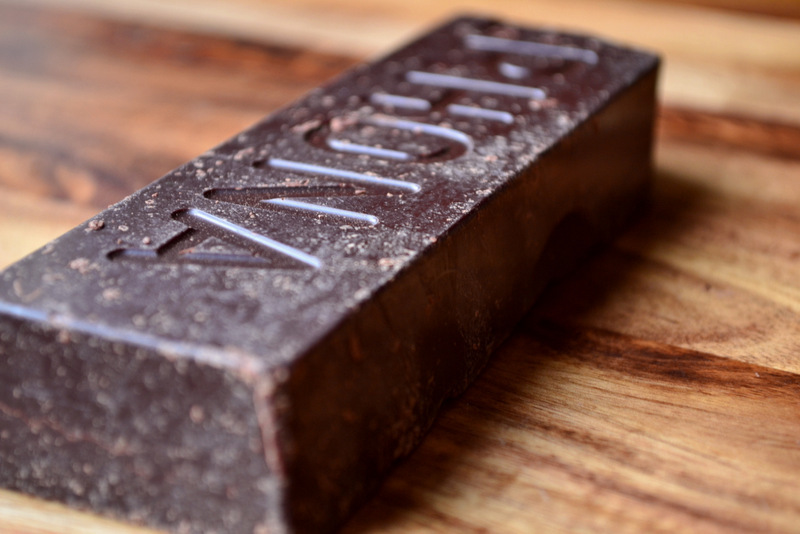 It was not until the Nineteenth Century that the process of emulsification was unearthed and chocolate became solid, signifying the invention of the modern day chocolate bar. Of course, this recipe is about as authentic as fake tan – sugar and milk were ingredients unknown to the Ancient Mesoamericans – but it’s still gratifying to return in some way to the bitter roots of drinking chocolate. Local connection: It can be a little tricky to find 100% cocoa paste, but root around in local delis and I’m sure you’ll stumble across it sooner rather than later. Indeed, I picked mine up from Arch House Deli in Clifton, Bristol – one of my favourite establishments, anywhere. However, if you really can’t find any pure cocoa, 100g of 70-80% chocolate should yield similar results. 1. Heat half the milk gently in a pan, bring to a simmer. Grate in the chocolate and stir along with the butter and salt. Tip in the remaining milk and bring back to a simmer. It’ll be very bitter at this point so add 1-2 tsp of sugar to taste. Whisk it to a froth and serve immediately. Cost: 100% cocoa paste is pretty expensive – my lump of 160g cost around £3.50. However, it goes so far that this really isn’t particularly problematic. A chunk of that size is enough for 4-5 hot chocolates. Two of these little delights should set one back no more than £2.20 – the price of one hot chocolate from a café! Have you considered adding a pinch of cayenne pepper or cinnamon? It really makes it out of this world! We always add cayeene pepper! Soooo good! What exactly do you mean by 100% cocoa paste? I can get high-quality unsweetened chocolate, which is 100% cocoa solids in cocoa butter, fairly easily. Great post. I always make my hot chocolate with proper chocolate. So much better than the powdered stuff. I am also an Arch House Deli fan! Are you a Bristol lad? PS I don’t ever add butter but maybe I should try it. OOOooo Lala! The image is killer!! Is there anything more decadent than Valhrona? My favourite. 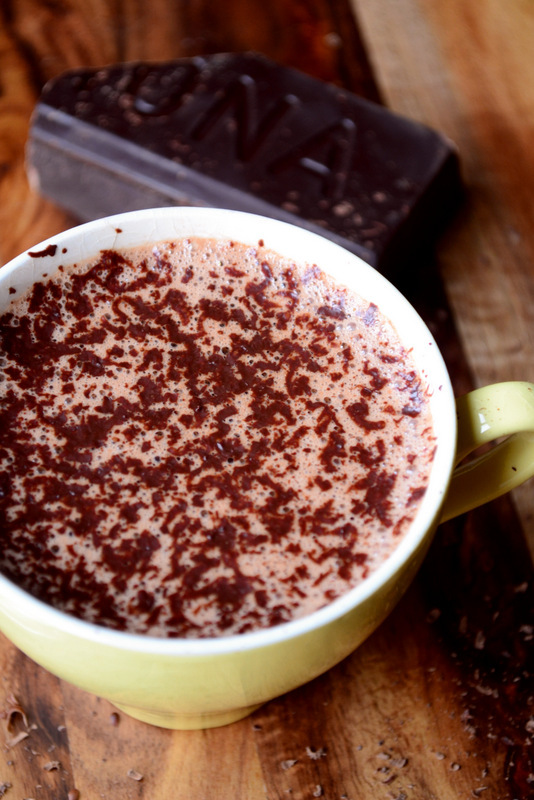 There is nothing like a “real” hot chocolate. Sometimes, if it’s very snowy and we’ve all struggled to get into school in the morning, our chef instructor will raid the pastry kitchens for their glorious chocolate and whip us up a hot drink. Nothing beats it! Yum, this sounds amazing 🙂 I love the idea of butter in hot chocolate. I’ll have to try and source some cocoa paste, but I think good-quality dark chocolate would be easier to find. I agree that hot chocolates from cafes are insipid and I’ve stopped drinking them because they are just not worth $4-5. Never thought to put butter in my hot cocoa… I like it! Also super good with mint! Yum! I like my chocolate dark and bitter, and sometimes with a pinch of chilli or cinnamon. This sounds perfect. Salted butter is an unusual addition. What do you find it adds to the cocoa? I always ground up some cardamon with a hint of cinnamon. Yummy! The wonderful thing about cocoa paste is that it is corn free and peanut free so those with allergies can enjoy. I use Belgium Chocolate for mine with a hint of nutmeg and cinnamon and it is so good. With my corn allergy I can enjoy a few pleasures I used to have to give up. Thank you for sharing. I wish there was a recipe converter I could find that would help to American weights. I am slowly collecting them. 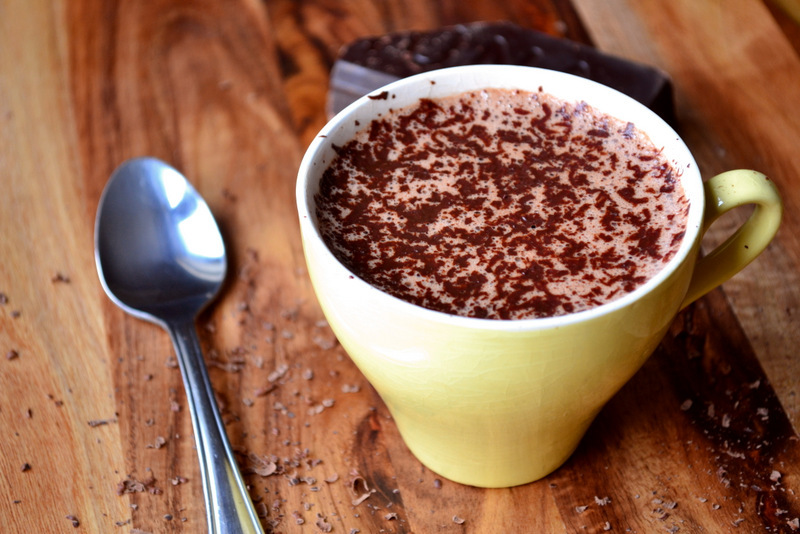 That looks like some seriously good hot chocolate. I don’t drink a lot of hot drinks, so when I do I want them to be the best! Ah, so this is how you ended up grating your fingers eh? I’d say it was well worth it. Gotta source some cocoa paste! Love the idea of using cocoa paste. Looks wonderful, Frugal! Great intro to this post, I found myself drawn into it from my reader page as if I had no choice in the matter! Oooh, buttery and bittersweet… sounds fabulous!!! There really is nothing better than a good cup of hot chocolate in the snow, and we’re supposed to get a foot of snow tonight. I do believe I’ll be making myself a cup (or three) of this decadent drink! I think coconut oil in place of the butter will make a nice flavor contribution, too!